If you haven’t noticed, it snowed last night. The white blanket of frozen precipitation, cancelled classes and provided much winter fun for you all. If you are like me though, your toes are numb and snow has seeped into some unwanted places. It is time to thaw out a bit and go inside. 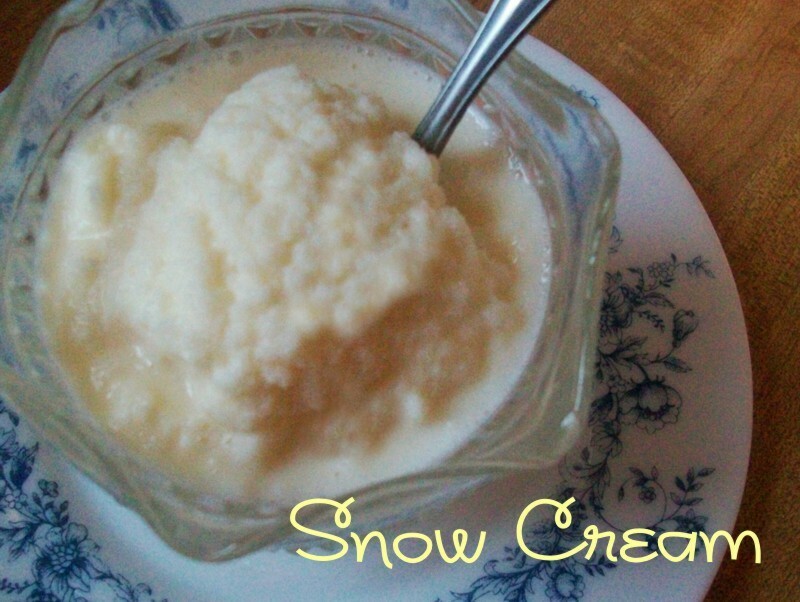 Before you head inside, grab some CLEAN snow and be prepared to make some yummy goodness. This recipe originated in WWII era when eggs were in short supply. Mix ingredients until they are a batter consistency. Drop the batter into the pan with the butter and cook like a normal pancake. Stay warm out there Camels, and enjoy the day off in a winter wonderland.